Are you looking for that perfect vacation property??? Cute house on the river, hunting cabin on multiple acres of property, or just a piece of land to call your own. Passionate professionals dedicated to the needs of the clients they service and the diverse natural resources throughout Northern Michigan that make this company possible. A specialty firm formed with a conscious mix of local knowledge, leading edge technology, traditional hard work and a national marketing reach. Homewaters was founded in late 2006 in response to the dramatic changes taking place within the real estate market and the industry. The main office is in downtown Traverse City with branch offices in Beaverton, Grayling and Houghton Lake. The agents and brokers collectively service an area that extends from Beaverton to Ludington to Mackinaw with a focus on waterfront and recreational properties. Approximately 80% of the firm's sales are waterfront but include acreage parcels, resort properties, including ski and golf homes and condos, and in-town homes. A recently launched Homewaters Downtown Properties division is geared toward the marketing and sale of homes in Traverse City's desirable downtown area. The company has built a very strong internet presence thanks to a website that offers lifestyle based searching for lakefront, riverfront, resort properties, acreage and downtown Traverse City properties. Homewaters' niche marketing and protected sales territories for agents and brokers has allowed them to enjoy terrific growth to over $40,000,000 in annual sales. 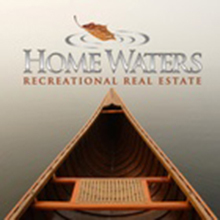 Click here to link to Homewaters.net properties website and see all that is available. This institution is an equal opportunity provider and is operated under special use permit with the Huron Manistee National Forests.